Okurrr. 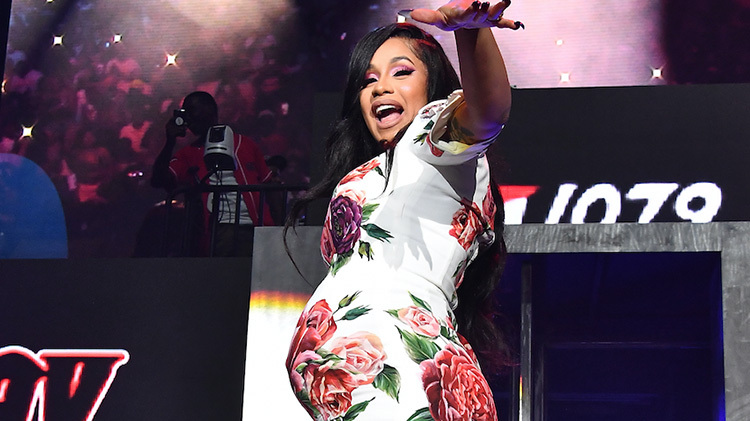 Cardi B's baby girl isn't even here yet, but she is already pampered AF. TMZ reported that the "Bodak Yellow" singer had a baby shower in Atlanta over the weekend and asked for a $2,799 bassinet, a Bentley toy car with a price tag of $700, and a $200 BEABA Babycook Set on her registry. Sources told the publication that Cardi actually received every gift she asked for. While the items are totally over-the-top, it's not a complete shock — this is Cardi B we're talking about. She's larger than life and wants her child to have the best of the best. But let's get one thing straight: Cardi wanted gifts for herself, too! "Doing my registry, but I wanna add gifts for myself," she wrote on Twitter last week. "My baby [thinks] I need this Gucci dress. Let me stop." Doing my registry but i wanna add gifts for myself 😩😩😂😂😈😈😈😈my baby think i need this Gucci dress 😎😎😂😂😂let me stop …Ugh I’m so shleepy😰.